Before we answer the question we need to understand what we mean by the question. 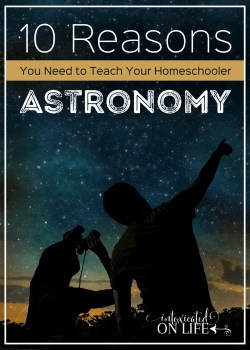 If you’re asking how many stars we can count from the Earth (without a telescope), that just takes a little patience and a whole lot of time to count. One astronomer from Yale University counted 9,096 stars in the sky—that’s the whole sky around the Earth, not just the half you can see at one time. There are roughly 100,000,000,000,000,000,000,000,000,000 in the visible universe (that’s one hundred octillion stars), give or take a few million. For the Christian, every time we look up and see the vast numbers of stars, we can be reminded of the biblical story of Abraham. Picture yourself 75 years old. Your wife is 65. Both of you are well past child bearing age, and you don’t currently have any kids. Now, picture that your name happens to mean “exalted father”—this probably feels a bit like a cruel joke. That’s likely how Abram felt because that’s what his name means: exalted father. Imagine how startled he was hearing the voice of God Almighty speak to him in his old age, promising to make him into a great nation—a nation that blessed all the nations of the world (Genesis 12:2-3)—promising to give him offspring as innumerable as the dust on the Earth (Genesis 12:7; 13:16). 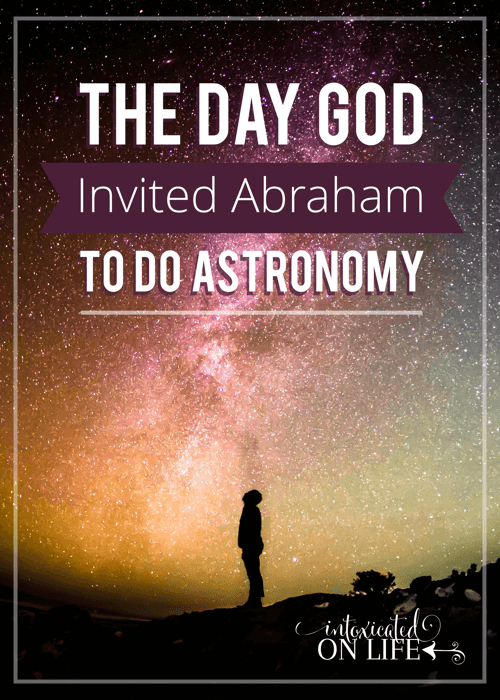 Imagine how started he was when God later changed his name to Abraham, meaning “father of a multitude” (Genesis 17:5). And yet years after God’s initial promise was spoken, Abraham still had no children. He feared his inheritance would go to his chief servant, not a child from his own body. God used the innumerable stars to show Abraham that though he has no kids right now, he will some day have many descendants. That feeling you have when you go out on a clear, dark night look up and are overwhelmed by the number of stars, that’s the same feeling Abraham would have if he could look forward in time and see the number of his descendants. He would become the father of a great nation. What’s so remarkable about this passage—aside from God’s staggering promise—is Abraham’s faith. He had no children and had no sign of having any children. All he had was the voice of God Almighty giving him a promise—and yet he believed God, despite what his eyes could plainly see. The apostle Paul would later say Abraham “believed against hope” that he would become the father of many nations (Romans 4:18). His frail body and the womb of his wife were as good as dead, but “no unbelief made him waver concerning the promise of God” (v.20). Abraham had “resurrection faith.” He believed God would raise the deadness of his body and his wife’s body in order to conceive a child. This is why he is the father of all believers. Like him, we too have resurrection faith, believing “in him who raised from the dead Jesus our Lord” (Romans 4:24). As the author of Genesis says, Abraham believed the Lord, and God “counted it to him as righteousness.” Why would God choose to count someone as righteous merely because they had faith? What is it about faith that prompts God to give us his favor? Puritan preacher and author, Thomas Watson, said faith “takes a man off himself” and gives all the honor to Christ. When a man has faith, it calls attention to how glorious God is. When Abraham had faith in God, it did not draw attention to anything impressive about Abraham. It drew attention to God’s ability to do what He promises in the face of impossible odds. God’s promise was fulfilled beyond Abraham’s wildest dreams. Not only did God give him a child, and not only did that child go on to become the forefather of a great nation, but one of Abraham’s own great, great, great, great, great, great, great grandchildren would be none other than Jesus Christ, the cornerstone of the church that now blesses nations all over the world. 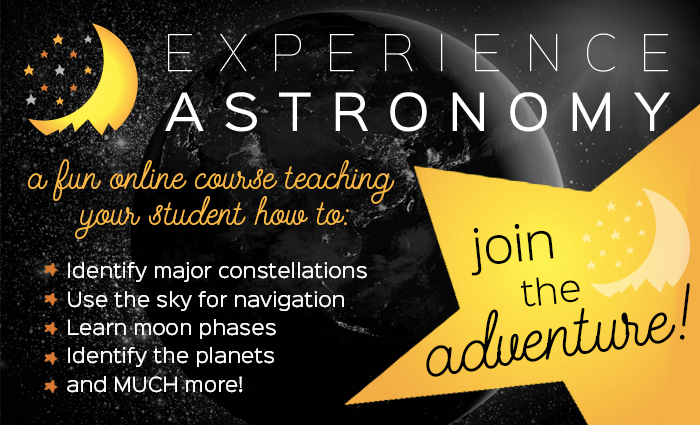 If you have a student, 12 years old and up, I invite you to enroll them in my online course, Experience Astronomy. 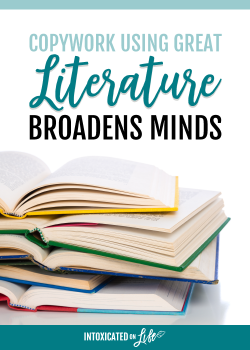 This course offers 35 lessons, starting in September and going through May. 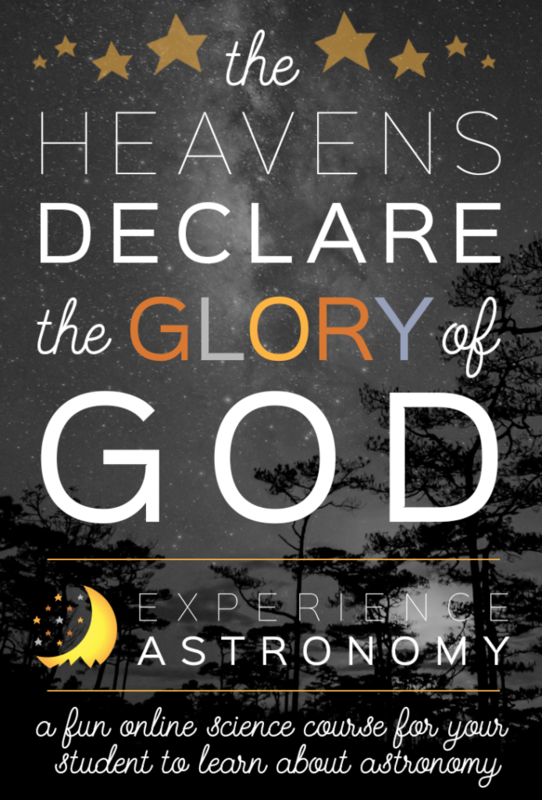 Students who enroll will be getting outside on a weekly basis to study the sky God made. 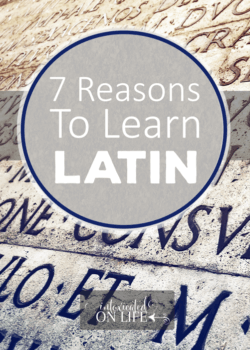 The whole course is taught from a Christian perspective. Sharing at Missional Women, Juggling Real Food and Real Life, Pam’s Party & Practical Tips, Crafty Moms Share, Denise Designed, The Modest Mom Blog, Written Reality, Mom’s the Word I Love to Hear, Cornerstone Confessions, Raising Homemakers, Crystal & Co., and Saving 4 Six. You have such a variety of blog posts. never know what you will be posting on…so fun. Thanks for being such a regular partier on Let’s Get Real Friday Link Up.